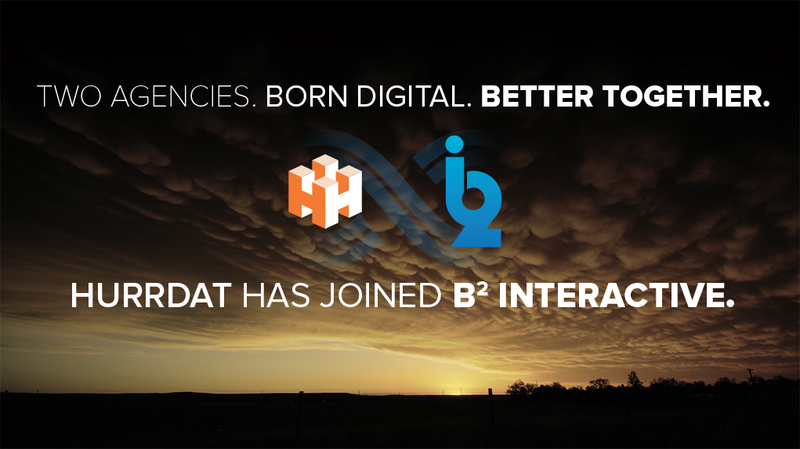 Nebraska based digital marketing and website development firms B² Interactive and Hurrdat Social Media to merge operations under acquisition deal by B² Interactive. Joint operations of combined companies to maintain both Omaha and Lincoln offices for Nebraska digital marketing staff of more than 70. B² Interactive announced today that it has come to an agreement to acquire Lincoln-based digital marketing agency Hurrdat Social Media. Founded in 2010 by Adi Kunalic and Blake Lawrence, Hurrdat provides social media and content marketing services that help local, regional, and national brands become digital influencers. For B² Interactive, the decision to merge these two digital marketing companies was easy. The culture, vision, and passion for digital marketing that the two share with the combined ability to provide a stronger lineup of digital marketing services to the current client base and future customers made sense. The deal combines Hurrdat’s social media, content marketing, and branding expertise with B² Interactive’s expertise in search engine marketing, search engine optimization, web design, and software development. 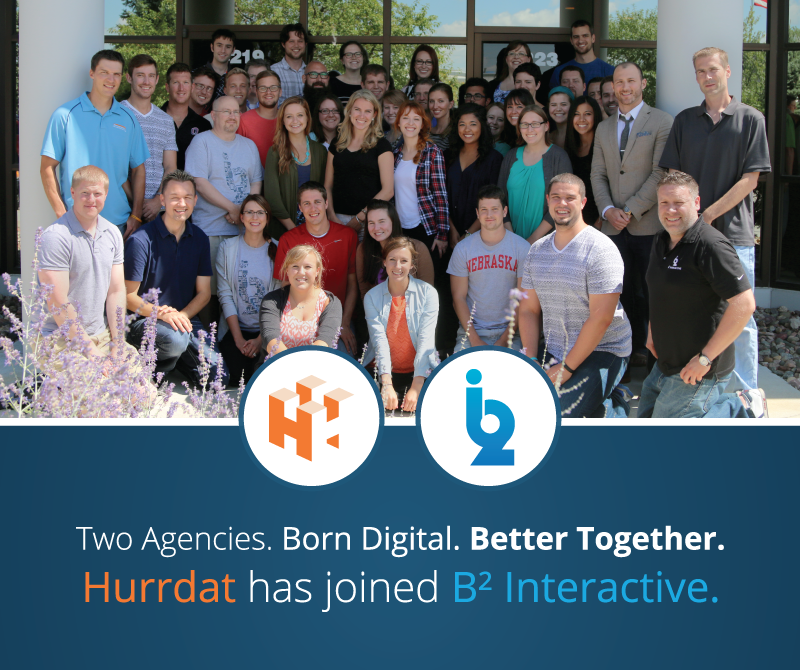 Though B² Interactive is located in Omaha, Hurrdat will remain in Lincoln. 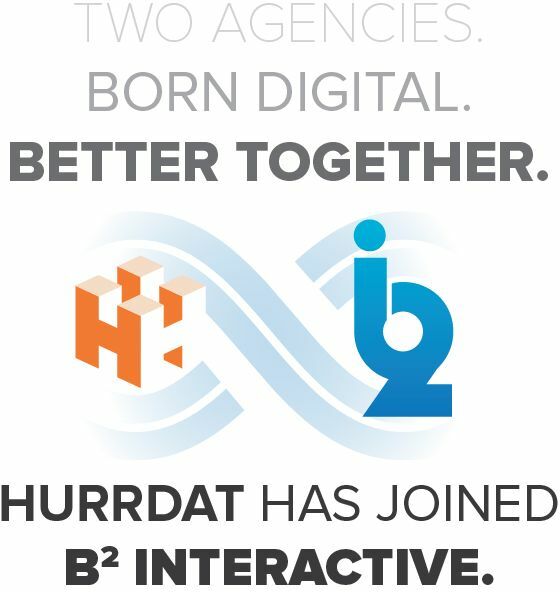 “Hurrdat is currently looking at new office locations in Lincoln—which we hope to move into by September 1, 2014—that will allow for growth and really represent the B² Interactive/Hurrdat brand,” said Kunalic. There will be no changes to services or teams for any clients at either firm, and all employees at both firms are being retained. Also, between the Omaha and Lincoln offices, B² Interactive and Hurrdat are currently looking to fill six open positions. Hurrdat will continue to operate under the leadership of Kunalic and will retain its brand identity. Kunalic will also assume an executive role with B² Interactive overseeing significant portions of the combined firms’ digital marketing activities and operations. Lawrence will continue to participate in helping Hurrdat, serving in an advisory capacity at Hurrdat. For more information on the merger of the firms please visit http://www.b2interactive.com/b2i-hurrdat/. B² Interactive is a full-service digital marketing agency in Omaha, NE that fuses digital marketing services with web design to offer a well-rounded web presence for businesses of all sizes. The B² Interactive team has more than 300 years of combined experience building, operating and promoting sites—small and large, local and national. Services offered include Website Design and Development, Search Engine Optimization (SEO) and Search Engine Marketing (SEM), Social Media Marketing, Content Marketing, and Paid Search Advertising Management. Founded in 2010 in Lincoln, Nebraska, Hurrdat is a digital marketing agency specializing in social media and content marketing strategy, design and development. By fusing traditional marketing with new media tactics, Hurrdat understands how to market forward-thinking businesses operating in the Information Age.